Thirteen years ago today, Carolyn and I were waiting to go to the hospital the next day to meet this little fella. 24 hours later, he joined us. This was (I think) the first picture we took of our new son, John Bailey Needham. 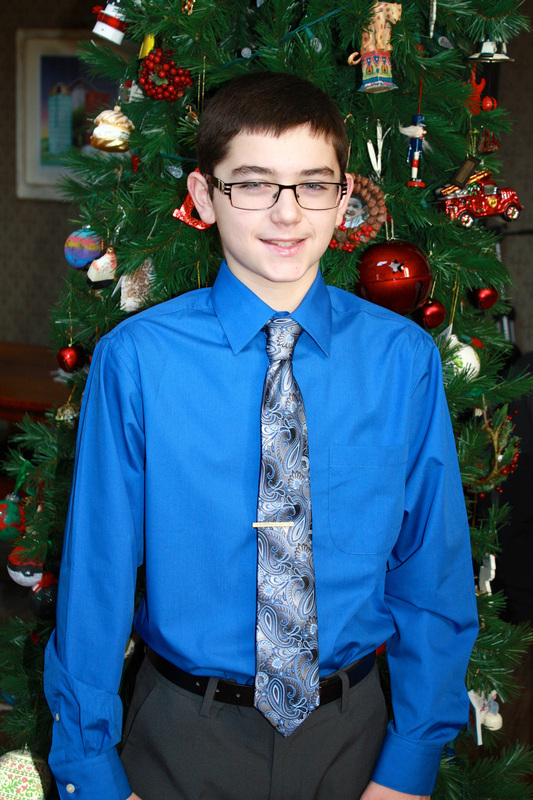 Here is what he looks like now - this image was taken a few weeks ago, before his winter piano recital. So tomorrow our little guy - who isn't really all that little any more, to be honest - turns 13 years old. We could not be prouder of him. Happy Birthday Bailey. It is a blast having you as our son.